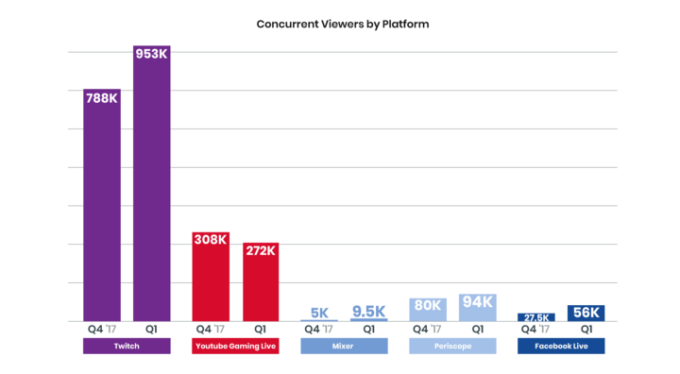 Since its inception in 2011, Twitch.tv has consistently remained one of the most popular games streaming platforms in the world. Especially after the fall of its main competitor Own3d.tv in 2013, Twitch has enjoyed a virtual monopoly on the global games streaming market. A look at it’s quarterly numbers for 2018 indicate that this freight train has no intentions of stopping any time soon. Following its acquisition by financial giants Amazon, Twitch seems to be headed for a brightly colored future. One of the main drawing points of Twitch has historically been its own version of a chatroom, known as Twitch chat. 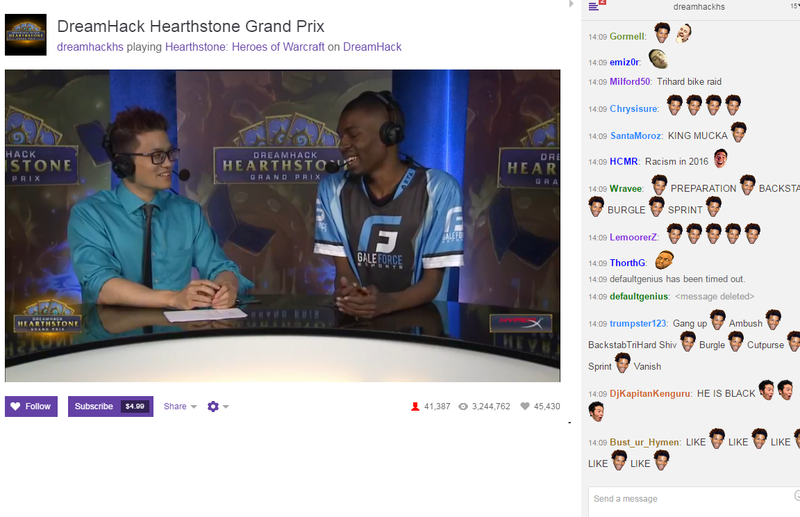 Through Twitch chat, viewers are able to interact both with each other, as well as with the streamers themselves. 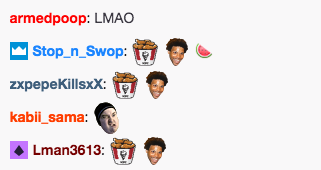 Twitch chat offers its users a wide variety of emoticons to lighten up their chat experience, each emoticon having its own specific connotation to it. Yet at the same time Twitch chat can be a detriment; the more viewers a channel gets, the more cluttered the chat can become. This can quickly lead to chatrooms that are overrun by a continuous stream of spam, prohibiting any real interaction between its users and the streamers. While Twitch offers its streamers tools for moderating their chats to combat the spam, this can be a two-edged sword; viewers tend to prefer chats with minimal moderation, and excessive policing can lead to a noticeable drop in viewer numbers. It is then no surprise that the largest channels on Twitch are often those that employ a complete hands-free approach to their chats. An unfortunate side-effect of this is that bigotry is then allowed to run rampant. In a poignant interview with video game journalism website Kotaku, professional Hearthstone player Terrence Miller revealed how racism from the community impacted his own career. Miller, the only black pro player in the scene, had an amazing performance during his first big stage tournament, placing second. However, whenever Miller would appear on screen, the Twitch chat would be flooded with racist comments. Utilizing a combination of Twitch emotes (special images exclusive to Twitch chat) and racist stereotypes, Miller was the target of continued mockery and hate from a community he championed on the big stage. Similar problems with racism can be seen in the streams of different games. In the Dota 2 streaming business, the larger channels also often suffer from a structural problem with racism in their chats. For instance, whenever the hero Monkey King is picked in a game, the chat is flooded with emotes depicting black people (thus directly associating black people with monkeys). Similarly, when a player manages to ‘steal’ a resource on the map from an enemy, the same black emotes are spammed(thus directly associating black people with crime). Happenings like these have all but become mainstream in most large Dota 2 channels, hinting at a structural problem in the community rather than isolated incidents. That this culture of toxicity bred by Twitch can quickly extend into the daily lives of people became evident when professional Overwatch player Félix “xQc” Lengyel was removed from his team following the posting of racist ‘memes’ (amidst a host of other insensitive acts throughout his career). Lengyel described himself as “raised by Twitch chat”, and that he was “literally a walking Twitch chat”. Perhaps most egregious is that these racist acts of trolling and hate often occur in the streams of major tournament organizers. As noted above, Terrence Miller’s ordeal happened during Dreamhack, a major gaming tournament organizer. Similarly, the Dota 2 example above was taken from the stream of The International, Valve’s golden goose and largest Dota 2 (and esports) tournament in the world. This shows both a lack of foresight and perhaps more cynically, a lack of care and interest in combating this issue. Certainly, a lack of moderation is in large part to blame for the rampant proliferation of racism seen in Twitch chats. However, one can also look at ulterior reasons, aside from the tired excuse that its all just ‘trolling’. Dota 2, Overwatch, and Hearthstone, and with them many other major esports, suffer from a structural lack of black players. While the reasons for this conspicuous absence warrant an entire investigation of its own, the lack of identification and interaction with colored professional players can be seen as a root cause for the unusually large presence of anti-black racism seen in so many major Twitch streams. Black people are still treated as an anomaly, like an exhibit to be stared at. An oft used excuse by defenders of Twitch chat is that, like a large sports stadium, it is impossible to police every aspect of it, and that racism and other forms of bigotry are simply a side-effect that one is forced to accept. These people seem to consistently forget that in real sports, crowd racism is dealt with extremely harshly. For instance, FIFA, the global football administration, has been known to issue hefty fines to clubs that fail to control their crowds. Similarly, several branches of sports have held anti-racist campaigns to target this specific issue (such as UEFA’s “No to Racism” campaign), showing that not only are they aware of it, but they are taking active steps to remedy it. These kinds of initiatives are unfortunately sorely lacking in esports. What is preventing any real progress on fixing these issues is the tendency for gaming communities to be reactionary in nature, lambasting the rise of “political correctness” and “SJWs” (Social Justice Warriors). Famous esports journalist Duncan “Thorin” Shields mocked the mere notion that twitch emotes could be used in a bigoted fashion, accusing the people trying to address this issue of “tearing esports down”. Similarly, when the issues are posted on community forums, the reactions tend to be lukewarm at best . In general people seem to acknowledge that there is a problem, but actually responding to it seems to be too much effort. 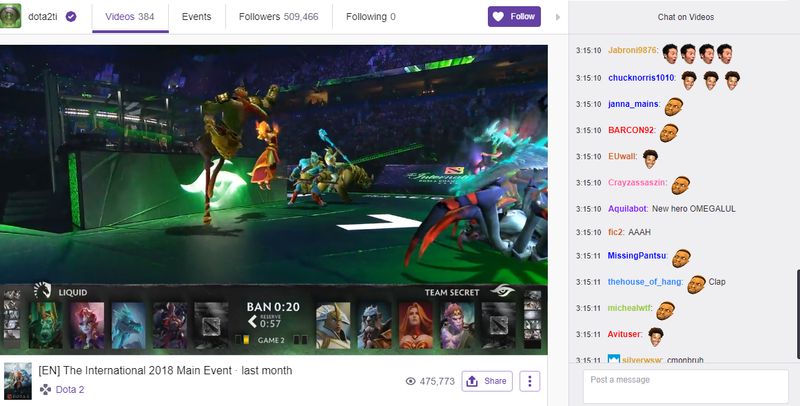 Esports’ primary form of exposure comes through the various streams on Twitch. When one repeatedly sees bigoted spam without any real effort from channels to counter it, it is not hard to see how an unknown viewer can be quickly turned off by it. Similarly, one should not simply dismiss it as the acts of ‘trolls’, a commonly used defense when confronted with internet bigotry. Racism for the purpose of ‘trolling’ is still very much racism. For colored viewers, the Twitch viewing experience can be a game of Russian Roulette; when the right ammunition enters the chamber, the chat all but becomes unbearable. And this is a great shame, because the people defending Twitch chat certainly make a valid point: it can be a great environment for communication with streamers and other viewers, and it does generate an atmosphere similar to those in sports stadiums. Yet why should this privilege be reserved for those not of color? It is for this reason that another common ‘solution’ to this bigotry, to simply “close the chat”, is especially hurtful. Instead of putting the onus on the viewer, it should be on the streamer to prevent these bigots from being able to espouse their vile views in the first place. In this way, everyone can enjoy Twitch chat for what it was meant for; a place for fans of a game or streamer to congregate and enjoy the stream. Esports craves acceptance as a mainstream sport, and an end to outdated stereotypes of gaming being merely a waste of time limited to children and young adults. Yet as long as these communities continue to ignore these structural issues plaguing it, this all but becomes a pipe dream. I write about stuff. Whatever’s on my mind. Follow me on Twitter @KorinSole .